Please carefully review the following terms and conditions for various promotions offered on CollectiveSupply.com. Terms: Collective Supply will match (or beat, at its sole discretion) any competitor’s advertised pricing on (1) custom printed mylar bags, or (2) custom printed certified child-resistant pop top containers, of the exact specification (size, quantity, artwork, etc.). Customer must first provide to Collective Supply a valid quote or invoice from a competitor. Competitors include only U.S.-based businesses. 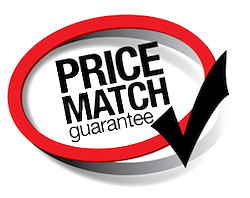 For purposes of comparing prices, discounts on competitor pricing from either loyalty/rewards/membership programs or multiple-item (multiple line items, not multiple quantity of the same item) purchases are not included. To be valid, Customer must present the competitor quote or invoice prior to placing the order with Collective Supply. Guarantee applies to product price only (does not apply to any shipping or freight charges). Limitations: Collective Supply shall have sole discretion in determining a “competitor” in the event of any dispute. Collective Supply reserves the right to modify or discontinue this promotion at any time without notice. Collective Supply will honor any eligible requests prior to the date this promotion is discontinued.